We’ve spent the last two weeks looking at applications you can use to protect your computer from unauthorized access: Apple’s built-in firewall for incoming access and Little Snitch for monitoring both inbound and outbound network access. But how do you keep people from looking at your network traffic while you’re on public Wi-Fi networks, such as those provided by your ISP, your favorite coffee shop, or the local library? When you’re on public (read that untrusted) networks it’s possible for someone on the same network to capture and unwrap your network traffic and essentially ”listen” to your network conversations. 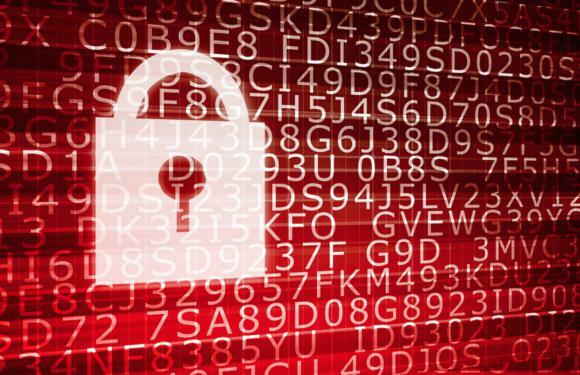 This could potentially expose data you’re sending and receiving if your network data isn’t encrypted in some fashion. When you connect to sites such as Amazon.com or your web banking service your network traffic is usually encrypted to keep your data safe, but there are many instances when sites you’re connecting to may be allowing that data to travel from your computer to their servers in the clear. On untrusted public networks this means it’s possible for nefarious individuals using packet sniffing software, such as Wireshark, to look at your private data. To avoid this kind of exposure on public networks it’s wise to use a Virtual Private Network (VPN) to keep your data safe. Typically, we think of VPNs in relation to securing corporate network data when employees are working remotely. You can also use a VPN to secure your network data on unsecured network connections until that data gets to place where you know it’s safe. That’s where apps such as Cloak come into play. Last year, Dan Moren selected Cloak 2 as a staff pick for securing unsecured Internet connections on your iOS devices because it’s easy to use and relatively inexpensive to maintain. (You can purchase anything from a 5GB per month plan for $3, a weekly pass with unlimited data for $4, to yearly passes for $100.) 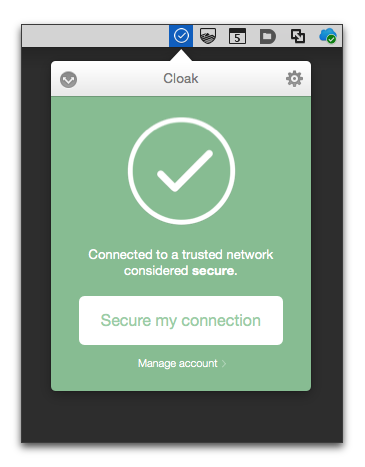 Now, in addition to securing your iOS devices, Cloak works on your Mac too. And all your devices can share whichever plan you choose to use. Plus, you can try Cloak on for free for 30 days before you have to choose a plan. Go to getcloak.com and click the link that says “Try free for 30 days”. Provide your email address and create a password for the service. When you respond to the Almost There email message your 30-day free trial account will be created. You don’t need a credit card to begin using Cloak. It’s free to try. You’ll only need to add a credit card if you decide to continue using the service. 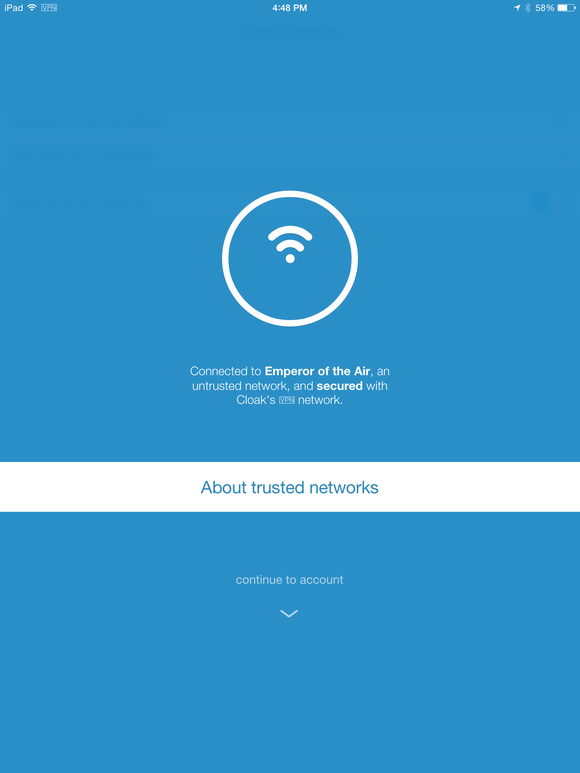 Next you need to set up the Cloak apps you want using Cloak’s VPN service. Drag the Cloak app to your Applications folder. Cloak installs a menu extra in your menubar. Locate and click the menu extra. Click the button that says “Log in to existing account” and enter your account information. Once Cloak is installed and running it will automatically use VPN to secure networks with unsecure connections. You can change and manage the way the app behaves using Cloak’s preferences. Using Cloak on your iOS device is easy, but, although you have to install an app, it isn’t as simple as downloading an app. In order to perform its magic, Cloak first needs to install a Configuration Profile to create the VPN connection you need to secure your network traffic on unsecure networks. Download the Cloak app from the App Store. Open the cloak app and enter your account information. Cloak will redirect you to the Cloak website where you will be prompted to install Cloak’s configuration profile. Agree to each of the prompts as the configuration profile is installed. Once the Configuration Profile is installed you will have two VPN configurations available, one that you can turn on manually and the default VPN which is turned on automatically when an unsecure network connection is detected. If you make any settings changes to Cloak you will be prompted to re-download and install the configuration profiles to update your settings.